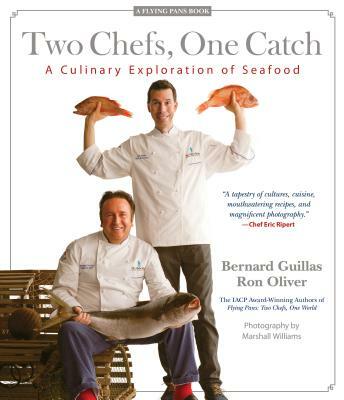 Bernard Guillas is executive chef of the La Jolla Beach and Tennis Club and landmark Marine Room restaurant in California. An avid culinary explorer, his roster of impressive credits include appearances in Food Arts magazine, "Rising Star Chefs," and "Great Chefs of the World." He was awarded Chef of the Year by Chef magazine. His philanthropic pursuits include Slow Food, The Beard House Foundation, Chaine des Rotisseurs, AIWF and international charities. Chef Guillas has been guest chef multiple times to the James Beard House in New York, named San Diego's "Best Chef" numerous times, including the Gold Medallion Awards (California Restaurant Association, San Diego Chapter), Chef Magazine, San Diego Home/Garden Lifestyles Magazine Readers Poll and San Diego Magazine People's and Critic's Choice. Chef Ron Oliver travels the world for culinary inspiration but he looks close to home for the freshest flavors. As Chef de Cuisine, Ron led the prestigious Marine Room in La Jolla to eight titles as Best Restaurant in San Diego. His passion for cooking expands to support local school and to teach food literacy to children by planting sustainable gardens.